The SSTL is a sustainable tourism management and certification programme designed specifically for use in Seychelles. It is voluntary, user-friendly, and designed to inspire more efficient and sustainable ways of doing business. The SSTL is presently applicable to hotels of all sizes. Every hotel enterprise in Seychelles integrates sustainability practices in their business operations. 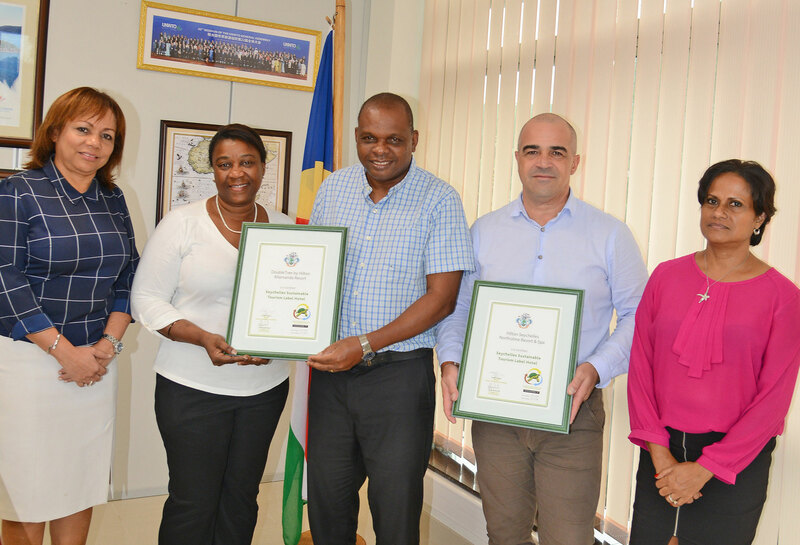 To encourage hotels in Seychelles to mainstream sustainability practices into their business operations to safeguard the biodiversity and culture of Seychelles. By assisting operators in improving the sustainability of their operations with useful tips and advice. Motivating operators to improve the sustainability of their operations by providing them tangible incentives. Rewarding through the award of the Label, those operations that have successfully improved the sustainability of their operations. The SSTL seeks to encourage and guide improvements in sustainability outcomes as such the project is as much an educational process as an examination process. What is a Sustainable Business ? A sustainable business is one that uses its resources today in such a way that the business can continue to be productive in the future. Sustainability is about the natural environment, but also includes consideration to the human and economic resources on which future success depends. The SSTL is a sustainable tourism management and certification programme designed specifically for use in Seychelles. It is voluntary, user-friendly, and designed to inspire more efficient and sustainable ways of doing business.